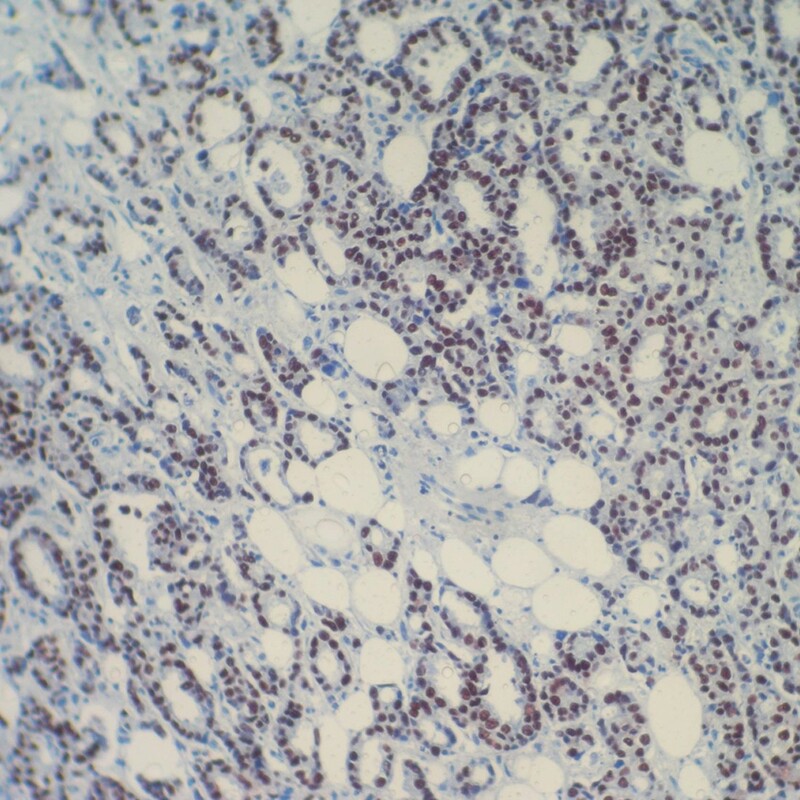 HOPE® Fixative System II | Polysciences, Inc.
Photo: Detection of estrogen receptor in human breast carcinoma tissue via IHC without any antigen retrieval. Photo Courtesy of DCS - Innovative Diagnostik-Systeme. During HOPE® fixation, tissue samples are incubated in HOPE® I solution, then in HOPE® II solution, followed by a dehydration with acetone and subsequent embedding in paraffin. For this tissue processing no alcohols or aldehydes (formalin, glutaraldehyde) are used. As a consequence, there is no cross-linking of macro- molecular structures during the process. This opens up new opportunities to characterize tissues out of paraffin blocks. Applications for immunohistochemistry, in situ hybridization targeting RNA and DNA, PCR and RT-PCR have been demonstrated using properly prepared paraffin embedded tissue sections. Tissue specimens fixed with the HOPE® technique allow greater morphology and retrospective studies on the molecular level. The HOPE®-Fixation technique requires HOPE® Fixative System II and HOPE® Fixative System I to complete the protocol.